What are Portable Air Conditioners Without a Window Hose? 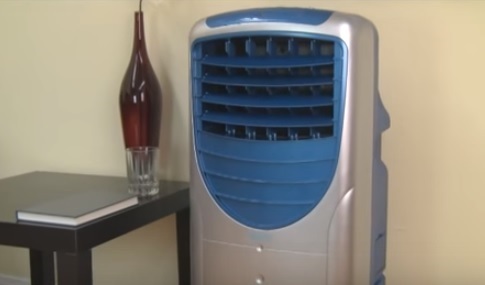 If you are looking for a portable air conditioner that has no outlet such as hose that feeds out a window than you may be thinking of a evaporative cooler. A standard air conditioner unit that has a compressor and uses refrigerant under pressure needs a outlet to pump out hot air. In the case of a portable A/C unit this is usually done with a hose that is attached to the unit and than fed out a window or other outlet. Evaporative coolers don’t need a hose attachment to pump out hot air. Evaporative coolers are not air conditioners in the sense that they don’t use a compressor and refrigerant to cool a space. 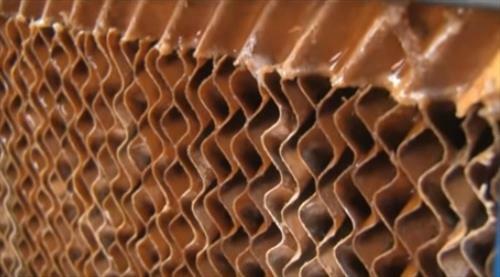 A evaporative cooler uses water that is pumped up to the top of pads that water is than filtered down. 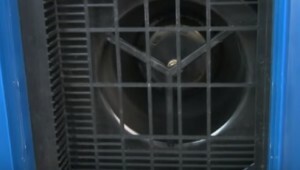 A fan is than used to blow air through the pads cooling the air. 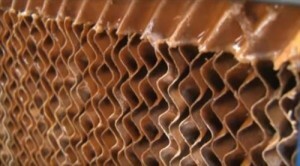 This has a cooling effect that works as well as any air conditioner in the right climate. The climate must not have a high humidity level or they do not work. Dry climates such as the American South West are where evaporative coolers are used widely and are often the only cooling system needed. Often called swamp coolers they work on the same principle that the body uses when sweating or getting out of a pool on a breezy day. As water evaporates it creates a cooling effect. Portable evaporative units have the added benefit of being cheaper to run and maintain. This is because they do not have any large components such as a compressor to run. The main components are a water pump, cooling pads, and a fan to blow air through the pads. The downside to a swamp cooler is that it will not work in an environment with high humidity. A air conditioner can work in any climate hot, dry, or humid. Swamp cooling units definitely have their place and are used by many people to help stay cool. If you are looking for a portable cooling unit that has no window hose than a swamp cooler is a good option as long and you live in the right climate.